Earthquakes are devastating natural events. From the business insurance standpoint, earthquakes represent the worst kind of risk - the one that everyone "knows" is going to happen "someday." Earthquakes cannot be prevented or stopped. Building codes can be updated to help protect buildings, but this has only helped in recent years. In the 1994 California Northridge earthquakes, insurers saw claims exceeding $12 Billion according to the California Department of Insurance. Even in the face of such risk, only 12% of California homeowners purchase earthquake coverage. Earthquakes are also regional events limited to known fault zones. These are high-risk areas but can go decades with no activity. Out of sight, out of mind - in 1996, 30% of California homeowners purchased earthquake insurance, one decade later, that number has fallen to 12% even though the risk is the same. Because of the nature of the risk, insurers exclude and do not cover earthquake losses under standard residential or business insurance policies. It includes the standard business owners policy. Because the losses of a new quake in populous California, the state has set up the California Earthquake Authority. Property and Casualty Insurers commit up to $1.3 billion for the fund. Californians pay more than half of all of the earthquake insurance premiums in the United States. Earthquake coverage is purchased as an endorsement to the standard business owners policy. The endorsement covers damage caused by shaking during an earthquake including structural building damages and the damage to property. 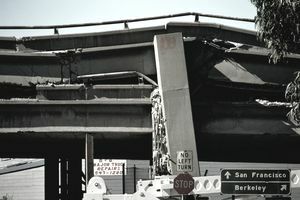 The endorsement must be purchased from the business insurer although California businesses can go through the California Earthquake Authority for coverage. Earthquake insurance can be purchased as a separate policy. This makes sense for larger businesses seeking to save premiums overall on their business insurance coverage. However, for smaller businesses, it may prove difficult - in the event of a loss - to make claims with separate insurers for damage. For example, fire damage caused by a gas explosion is still a covered fire loss - not an earthquake loss - but, the small business owner may submit the claim to the separate earthquake insurer. It would be easier to submit the claim to one insurer and have the insurer allocate the loss to fire or earthquake. Earthquake insurance is purchased as a premium per $1,000 of valuation. Premiums vary from location with the Western United States having premiums ten times as high as those in the Eastern United States. The premiums also take into account age of the buildings and types of structure with wood frame buildings being cheaper than brick and stone. The Insurance Information Institute states (using residential figures) premiums run thirty to sixty cents per $1,000 in the East, while similar coverage runs three to fifteen dollars per $1,000 in the West. Earthquake insurance carries a percentage deductible ranging from 10 - 15%. This means if the business suffers an earthquake loss of $1 million, the business would be responsible for the first $100 - 150 thousand. Commercial Auto - Most standard commercial auto policies cover loss or damage from earthquakes. This can include damage from falling debris, fire, or other events. Workers' Compensation - Injury to employees at work by earthquake effects is a covered loss under workers' compensation insurance. Business Interruption - Some business interruption policies do not exclude earthquakes as covered events, but check with your insurance professional. If you do business in an at-risk area (especially California or the West), you may want to consider a separate earthquake policy or consider an endorsement adding such protection. This is one risk that you know will happen someday. Business Income Coverage - What's Included?